Just little inspiration. This set is already sold but it was so fun to do it. 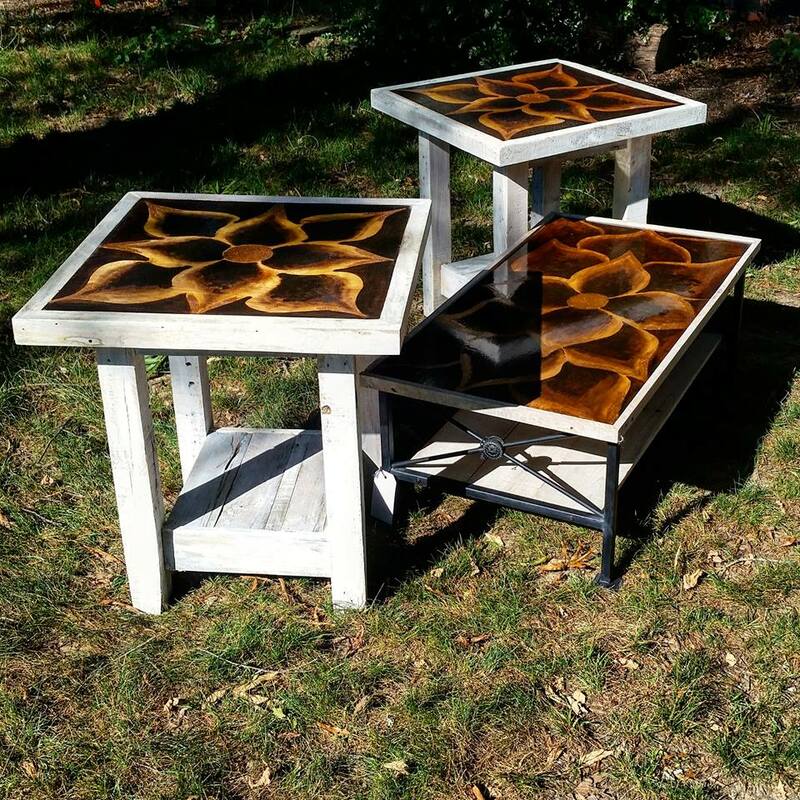 End tables and coffee table from pallet wood. Only the top is hard wood since I free hand stained it with my design. It has been used only one color of stain and glitter.. I love this combination. I hope for more project like this. My custom work. 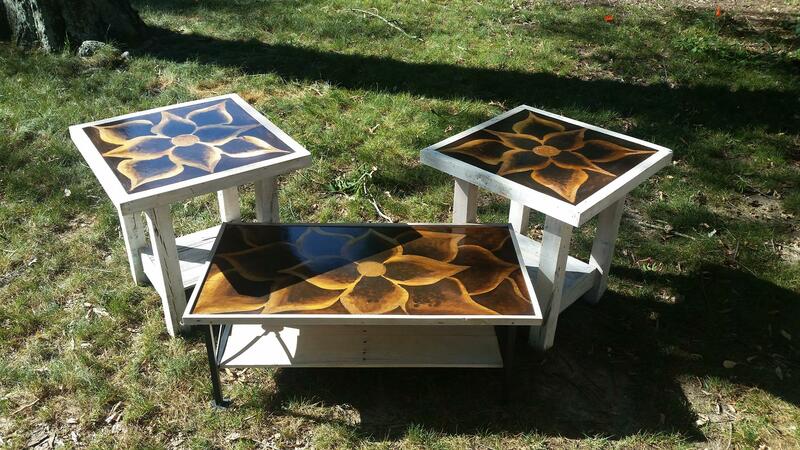 Sweet lady wished to have also matching end tables with my coffee table so we built them ! Thank you to Southern Gentility for building me this great end tables to be able to match the first one! This is our pallets wood art.